ENVELOPE : Box Type Envelope Made From Black Color 250 gsm Matt Finish Paper with Raised Gold Color Printing. 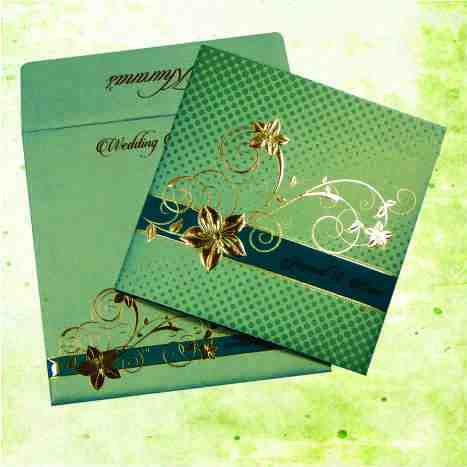 MAIN CARD : Gold Color 250 gsm Textured Shimmery Finish Paper With Gold Color Printing. Main Card also printed with Bride & Groom Initials in a Padded Window at the bottom right corner.